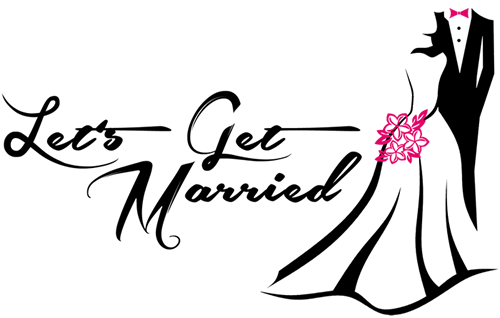 Let’s Get Married Bridal Boutique is a family owned and operated bridal boutique located in Tampa, specializing in affordable designer wedding dresses and bridal dresses including: bridal dresses, bridesmaids dresses, mother of the bride/groom dresses, and flower girl dresses. Our address is 912 Ralkell Road in Tampa, Florida and our contact number is (813) 930-6233. All of our designer wedding dresses are below $1,800!! We have moved to a new location! Due to our move to the new location, we only take appointments, so please give us a call at: 813-930-6233 to schedule today! Our new address is 912 Ralkell Road in Tampa. We look forward to providing excellent service to the Brides, their families and friends in the Tampa Community for many years. We offer Wedding Bridal Dresses and accessories, Mother of the Bride/Groom Dresses, Bridesmaids Dresses and Flower Girl Dresses. Brides are invited to bring their family and friends to browse the bridal boutique for dresses, veils, jewelry, shoes, sashes, and other accessories. Our designers come from diverse backgrounds throughout the United States, such as New York, Canada, California, and Louisiana. Thank you, to Linda for outfitting my bride tribe for my wedding day. Linda was really easy to work with, scheduled appointments with us, worked with us to get the dress that each bridesmaid wanted and ensured that everyone was ready to go by the wedding day. The dresses were of really good quality for the price. After comparison shopping at other bridal boutiques, we got the best value. And the ladies each looked beautiful on the wedding day. Thanks again, Linda! While my review is not a positive one and I wouldn't recommend this experience to any bride-to-be, I will preface it with saying that I did buy my dress from here. I have more details below, but in summary the location is incredibly misleading, Linda was very unprofessional, and this experience nearly ruined the entire day for myself and my 3 guests who flew to be here. She then told us she operates out of her daughter's home around the block, which was something she did not mention when she confirmed my appointment. Her daughter then showed up to the house to get her dog and we followed her to her home. I'm still surprised we went, but I was thinking maybe there is an area of the home or a guest house designed as a boutique or SOMETHING that looks professional. Instead, it's just her living room. She pulled out racks of dresses and we waited on Linda to show up. I was almost in tears at how ridiculous this entire situation was and nearly leave. Ultimately, I decided we'd just stay and use it as a low-risk chance to try on dresses before going to another scheduled appointment later in the day. We picked out multiple dresses and Linda put them in a messy back room, all the while complaining about her technology being down and never really taking ownership of the fact that she forgot my appointment. I started to try on dresses and she called my Maid of Honor to the back room to help me in the dresses because she 'won't be there on that day' so my MOH needed to learn how to do the dresses. I tried on multiple dresses with Linda only really doing the long strands of buttons and at one point gave me a veil. The mirror and pedestal she had was not set up for a bride over 5'5" as I am 5'7" and couldn't see my face at any point. She kept going on about being careful on the pedestal telling me she had a girl fall off one and hit a mirror at her other location and how worried she was about getting sued. The lighting in the room was terrible and at one point I wore a dress outside to see it in better lighting with neighbors gawking at me. Ultimately, I did find a dress I loved but felt uncomfortable to order from her. Before leaving to get lunch before the next appointment, we asked if it's possible to hold the dress/how ordering works and all she really said was that she has another bride tomorrow and we should be find until then. As we leave she said 'Oh and I don't take card, gotta pay the rent!' which felt incredible unprofessional and weird to say to a potential customer. We ended up going to another boutique and had the 'proper' experience that made me realize how incredibly horrible this was. However, ultimately the dress I tried on ended up being the dress I wanted so we called back to see if I could try it on again. She complained that she just started painting again but eventually (after multiple calls and her asking me to text her daughter) she agreed I could come over and try it on. The dress was essentially a sample dress and so I decided to purchase it since it didn't involve depending on her at all to order and ship me anything. To top it off, Linda made a comment after I'd purchased the dress that she wasn't going to ask me for a review so I think she knows how terrible this was. All-in-all, as mentioned, I have my dress and a funny story to tell, but would never recommend this experience to anyone as I was mislead and poorly treated as a customer. After nearly giving up on finding bridesmaid dresses for my wedding, I went in on a Sunday, when it was slow, and they were able to get me in right away for some bridesmaid dresses. Jessica was so amazing and accommodating, and really listened to what I needed, pulling dresses that worked exactly for what I was envisioning for my big day. In fact, I had such a hard time choosing because the dresses were so beautiful and really worked for any and all body types. A day later, even when they were closed, I had changed my mind about the color and called Ms. Linda. She said it was absolutely no problem at all. This is such a lovely place, with amazing ladies that will help guide you to what you want. Thank you Jessica and Linda. You guys were just so sweet and amazing! We are by appointment only! Please call 813-930-6233 to schedule today!